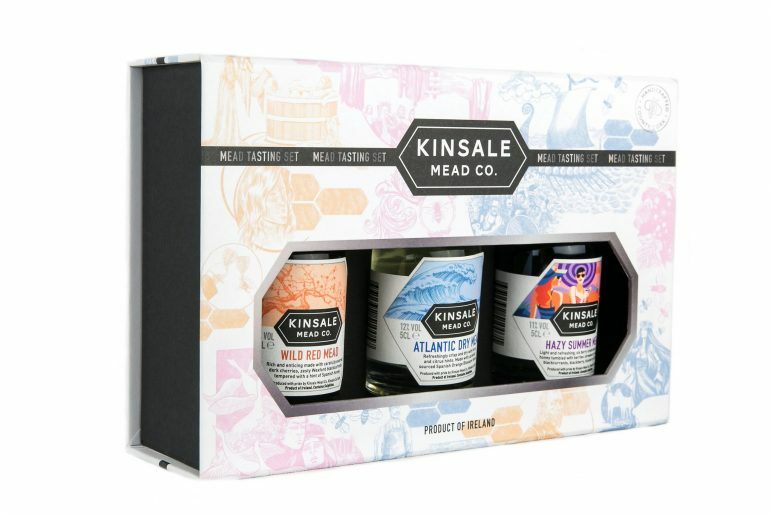 Gift Box - Kinsale Mead Co.
A beautifully designed gift box of mead for every occasion. An ideal present, souvenir or a tasty treat for the foodie in your life. 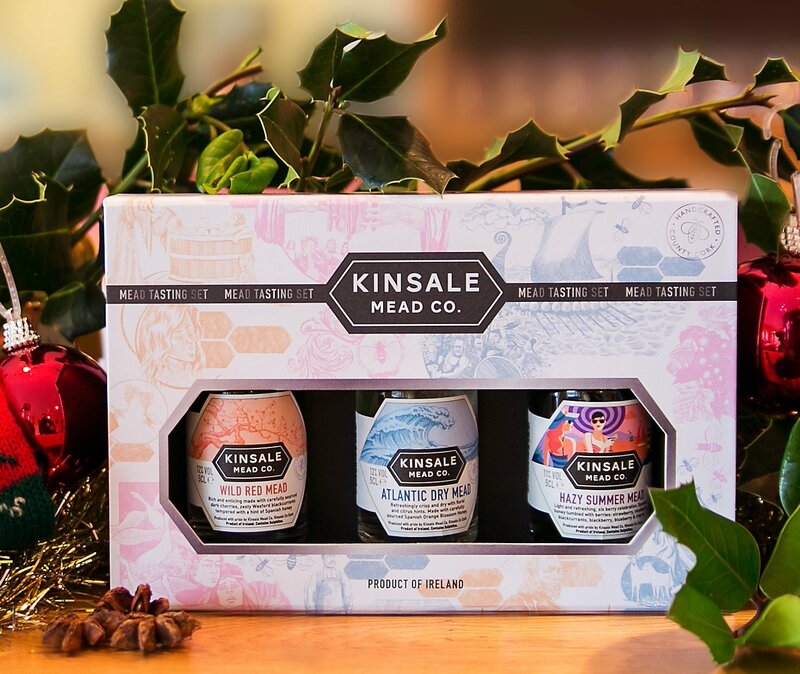 A tasting trio of our meads in miniature bottles presented in a beautiful gift box. Includes tasting notes for each mead and a short history of mead in Ireland. Magnet opening with illustrations by Fiona Boniwell from our our Mead map, Tales of Mead and Honey Poster. 3 bottles, Atlantic Dry Mead, Wild Red Mead and our Hazy Summer Mead in 50ml bottles. 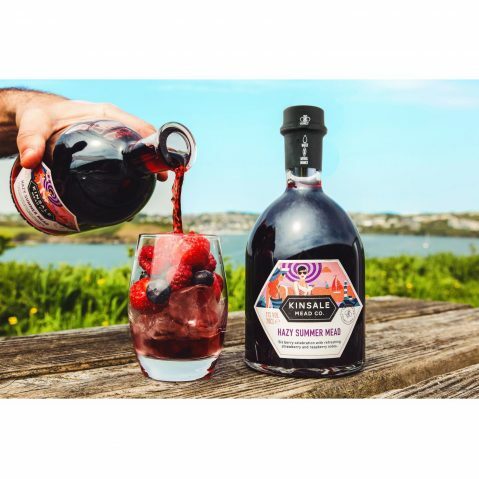 Naturally Gluten Free and low in sulfites. Standard Delivery charge to anywhere in Ireland is €7 for orders up to 12 bottles. Standard Delivery charge to anywhere in the UK is €14 for orders up to 12 bottles. Note: We have automatic pricing calculated for delivery to France, Germany, Netherlands, Belgium and Luxembourg. Delivery will usually be within 1-2 working days during normal working hours (Mon-Fri) using an independent courier and must be signed for. Must be over 18 years old. 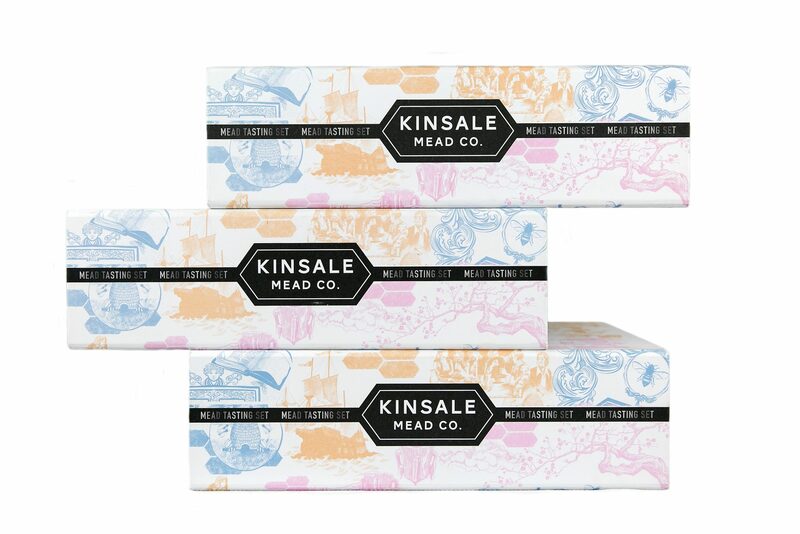 Contact us on +353 (0)21-477 3538 or sales@kinsalemeadco.ie with any special requests or large orders or shipping to other European countries. If you want to buy 12 bottles or more, please contact us directly for a discount. You can cancel orders up to the day of dispatch, simply contact us by email at sales@kinsalemeadco.ie or phone at 021-477 3538. 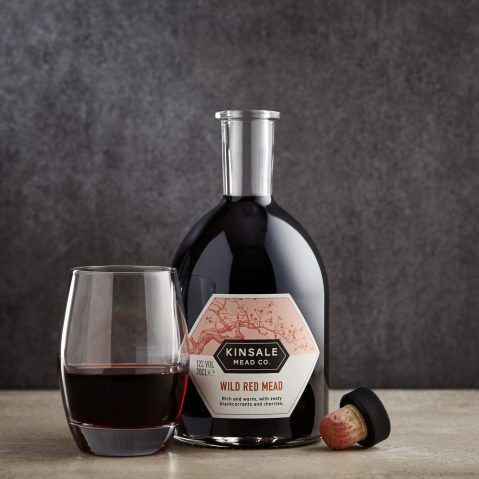 If you are not happy with a mead, a delivery or an aspect of our service, please contact us at info@kinsalemeadco.ie and we will help you in any way we can.